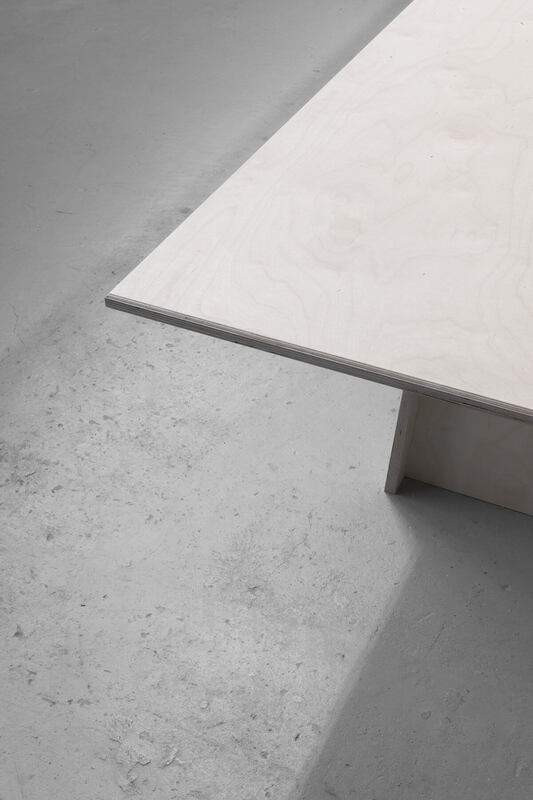 Cene is a large table (4.2m x 1.2m). It is composed of plywood panels. 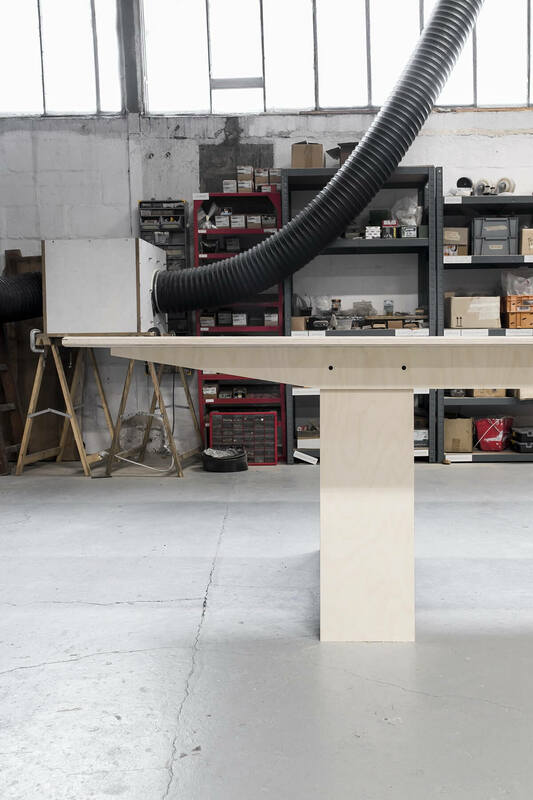 His language comes from a smart reflection, making a table of a maximum size with a minium of cutting and loss of material.